Christmas is upon us once again, and our local Emporia merchants are ready to help you find that perfect gift. We’ve organized Emporia’s shopping options by category, so you can quickly jot down ideas for everyone on your list. 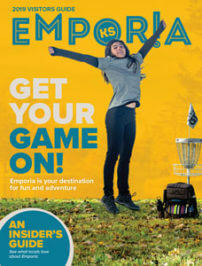 There are 21 days left to shop, and Emporia has a wealth of businesses with unique gifts that you won’t find elsewhere. For even more inspiration, the Emporia Arts Center recently posted a Holiday Gift Guide with ideas to fit any personality!